For the official sign up thread I'm in hellboy v ash from evil dead. I actually had that thought as well and hoped someone would do that one. cant wait to see it. I'm up for pencils on Hellboy vs whoever! Anybody need an artist? Last edited by cbear; 12-11-2017 at 08:04 AM. writers!!! 2 artists signed up looking for writing help. Any one of you want to jump on and team up with these 2 guys??? Lets make some teams happen. I’m ready willing and (cap)able to aid and abet any of the artists who are seeking not just a writer, but a co-plotter, as well. Some of the best comics stories I’ve ever read comes from brainstorming and mutual plotting between writers AND artists to insure a shared vision, as such. Feel free to PM me if you want to get my email addy or my cell number so we can text or chat up plots and dialogue. Rob, I still need to get with you regarding initial plotting and framing devices, brotha, because you are a man I want to work with! 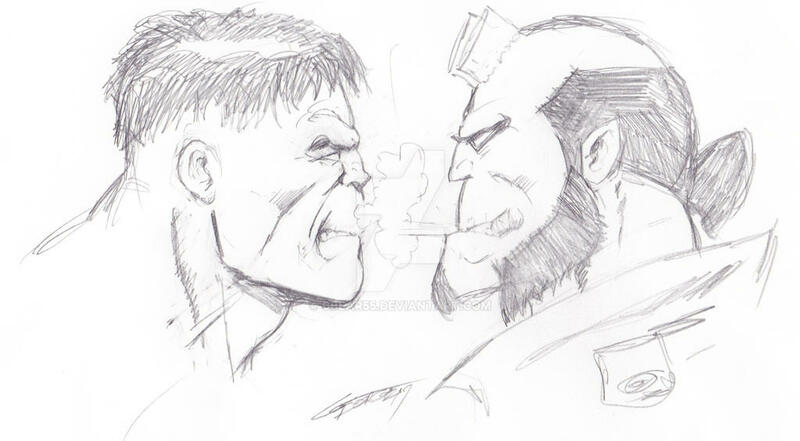 I don't know anything about The Goon though, so cbear, you up for Hulk vs. Hellboy? EXCELLENT! your work was awesome back on the old book. so very glad to have you on board again. we have a rough completion date of the end of February, so...I hope that's enough time.